Klaipeda John’s Hill (Jono kalnelis) -a unique location near former protective fortifications of the city combines all the essential elements necessary for the St. John's celebration: water, grasslands and safe places for bonfires. 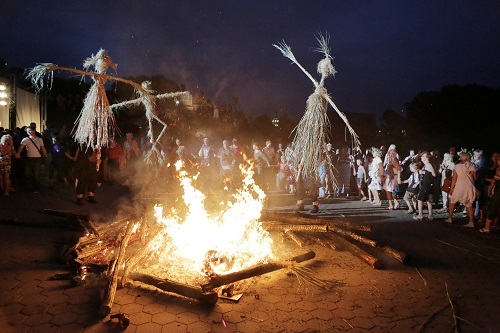 This ancient folk tradition of the longest summer day and the shortest night is celebrated in Wicker lawns decorated with the wreaths of John, with lots of singing, dancing, playing games, searching for phernery blossom, burning "witches” and jumping over the bonfire. Folklore groups from Klaipeda and other Lithuanian regions give concerts all night long.